Their popularity on the big screen is by no means minuscule, hence the reason why Disney is reportedly looking at some of the Marvel Cinematic Universe (MCU) superheroes to help attract customers to its streaming service once it’s launched. More specifically, the superheroes in question here are Loki and Scarlet Witch. Variety brought news that Disney is producing TV shows featuring MCU characters for its streaming service and the two characters are among those who will get their own limited series. 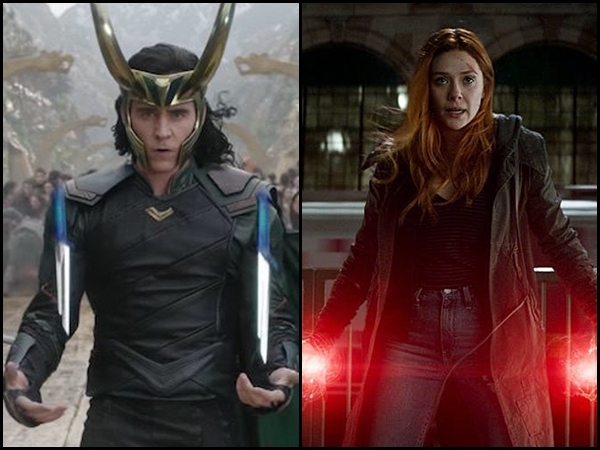 The characters are portrayed by Tom Hiddleston and Elizabeth Olsen, respectively, in MCU movies such as “Avengers: Age of Ultron” and “Avengers: Infinity War”. It is reported that both the actors will be reprising their roles in the upcoming TV shows, with each series expected to have six to eight episodes. Avengers like Iron Man and Captain America, who already have their own movie franchise, might not be considered for the series as the studios are planning to focus more on second tier MCU characters. The MCU character-based series, which Marvel Studios will be producing with Kevin Feige overseeing, are among the projects that Disney is working on for its streaming service. Other projects include a “Star Wars” series helmed by Jon Favreau, a “High School Musical” show and a live-action “Lady and the Tramp” movie.